Manuscript submitted April 4, 2011; resubmitted May 4, 2011; accepted May 8, 2011. This article reviews the outcome of pancreas transplantations in diabetic recipients according to risk factors, surgical techniques, and immunosuppression management that evolved over the course of a decade at Wake Forest Baptist Medical Center. A randomized trial of alemtuzumab versus rabbit anti-thymocyte globulin (rATG) induction in simultaneous kidney-pancreas transplantation (SKPT) at our institution demonstrated lower rates of acute rejection and infection in the alemtuzumab group. Consequently, alemtuzumab induction has been used exclusively in all pancreas transplantations since February 2009. Early steroid elimination has been feasible in the majority of patients. Extensive experience with surveillance pancreas biopsies in solitary pancreas transplantation (SPT) is described. Surveillance pancreas biopsy-directed immunosuppression has contributed to equivalent long-term pancreas graft survival rates in SKPT and SPT recipients at our center, in contrast to recent registry reports of persistently higher rates of immunologic pancreas graft loss in SPT. Furthermore, the impact of donor and recipient selection on outcomes is explored. Excellent results have been achieved with older (extended) donors and recipients, in recipients of organs from donation after cardiac death donors managed with extracorporeal support, and in African-American patients. Type 2 diabetics with detectable C-peptide levels have been transplanted successfully with outcomes comparable to those of insulinopenic diabetics. Our experiences are discussed in the light of findings reported in the literature. 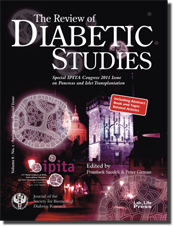 Pancreas Transplantation in C-Peptide Positive Patients: Does "Type" of Diabetes Really Matter? Pancreas Transplantation in African American Compared to Non African American Patients: Does Recipient Ethnicity Influence Outcomes? Pancreas transplantation, antibodies and rejection: where do we stand?